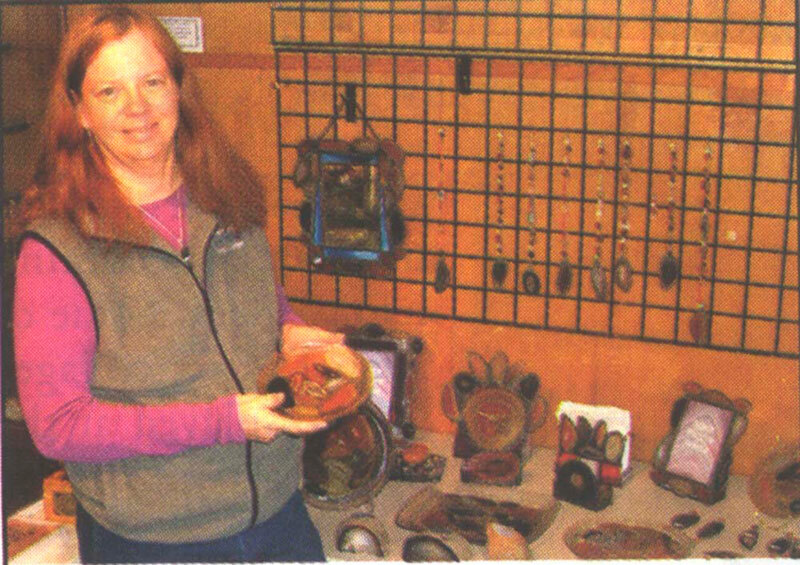 True rock hounding, according to Karen Brzys, owner/curator of the Gitche Gumee Agate and History Museum in Grand Marais, is more than amassing a collection — its sharing the experience. And, sharing her love and knowledge of agates has become her life’s work. Fueling her passion and fascination for agates, Brzys credits Axel Niemi, who lived most of his 86 years in Grand Marais until he died in 2004. Niemi founded and operated the museum from the early ‘50s through 1978. As a young child, Brzys summered in Grand Marais and spent countless hours listening to Niemi’s stories, songs, and jokes, all the while learning about agates and life. In 1998, she acquired and [later] re-opened the museum, closed for nearly 21 years. She continues Axel Niemi’s legacy — that the world would be a much better place if more people had the opportunity to search for and appreciate rocks, and other aspects of nature. 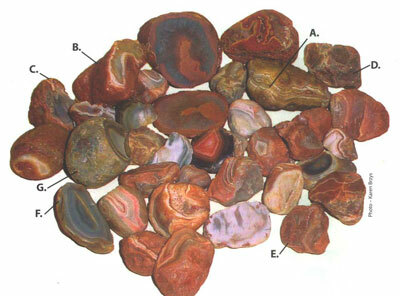 Agates are found worldwide, but Lake Superior agates are the oldest, dating back about 1.2 billion years. They formed — molecule-by-molecule, layer-by-layer, from microscopic fibrous quartz crystals forming concentric bands and other patterns from the outside in — in the steam-vacated pockets of lava rock that flowed up through the cracks in the Earth’s surface. Later, erosion and glaciers broke apart the host rock and the forces of nature scattered the freed agates. The windy nature of Lake Superior, and its iceberg flows, continues to distribute them. Sharing this background, Brzys advises agate hunters that along with combing Superior’s shores, they look in the root balls of uprooted trees, along beaches, creek beds and rivers, in piles of rock left from cleared farm fields, in gravel pits, and even at construction sites after a cleansing rain or along old railroad tracks. A semi-precious stone, agates are the esteemed find of rock-hounding along Lake Superior shores because of their elusive nature, characterized by their few numbers and sometimes drab outside appearance that hides the gem-quality beauty inside. Look for rocks that show evident concentric banding [or other self-organized patterns]. The majority of Lake Superior agates are stained with iron, so keep a keen eye out for this reddish-brown color. 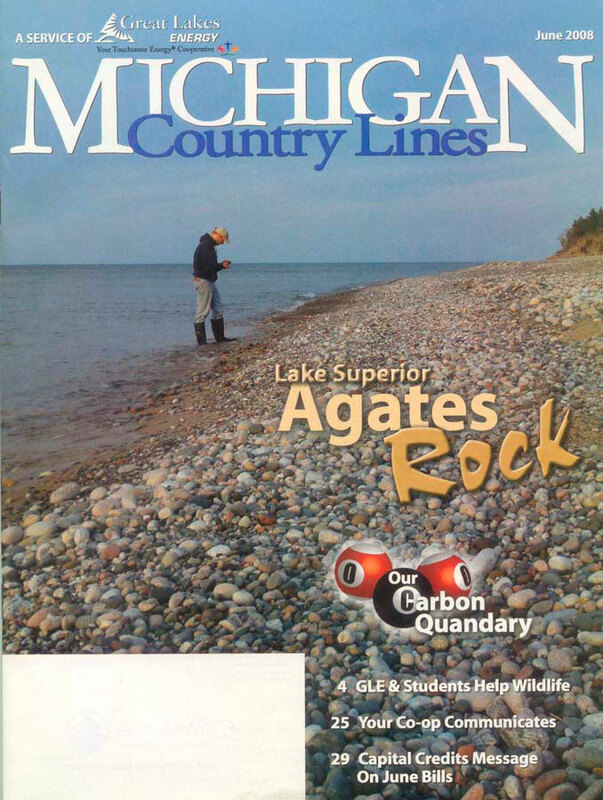 Look for often “quartzy”-looking channel openings that allowed the solution to enter or escape the pocket in the host rock when the agates formed. Specimens will often have a pit-marked surface, possibly from molding to the rough lining of the host rock. Look for pseudo-bands, or evidence of banding indicating there may be self-organized crystal structure on the inside. Look for clam-shell shaped fractures that may serve as a “window” to the inside, revealing banding you cannot see on the surface. Look for a waxy gray luster indicating chalcedony, a microcrystalline version of quartz. Some are comprised of carnelian, a red-stained version of chalcedony. Not all, but most agates are translucent (you can see light through it). When the angle of the sun is low, walk toward the sun and look a distance in front of you for the translucent red carnelian agates. 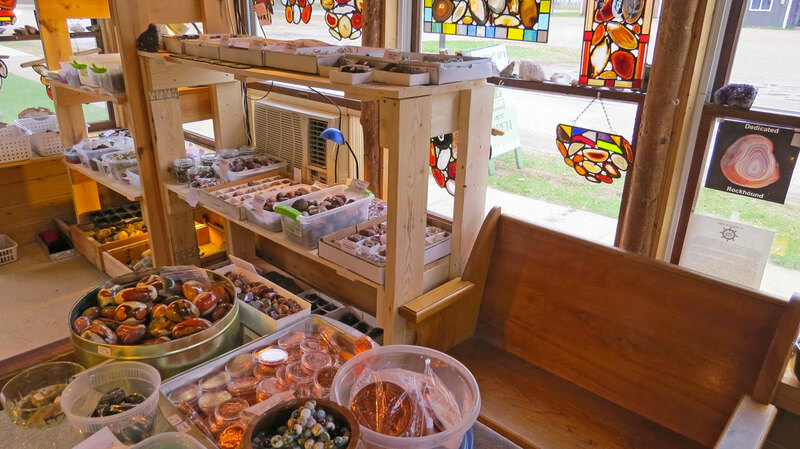 Learn more about agates and how they were formed in Brzys’ book, “Understanding and Finding Agates.” She has also taken to the road with “Gitche Gumee Gatherings,” where she conducts private shows and workshops on rock hounding and agate hunting for any size groups. Contact her at 906-494-2590 for more information, or visit www.agatelady.com. At the Gitche Gumee Agate and History Museum in Grand Marais, owner/curator Karen Brzys (above) offers rock cutting and polishing; classes on rock-hounding and basic agate hunting, a gift shop with Lake Superior agates, other minerals, handcrafted agate products, and other unusual items; mineralogical displays featuring agates from around the world; and historical displays of what life was like in Grand Marais a century ago.